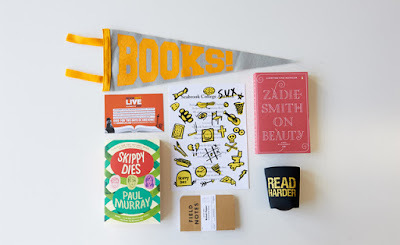 The eighth Book Riot box -- books and bookish goodies. $50 per box; sent every three months | The Book Riot Quarterly box is a quarterly subscription service that promises over $50 worth of books and bookish goodies in every delivery. 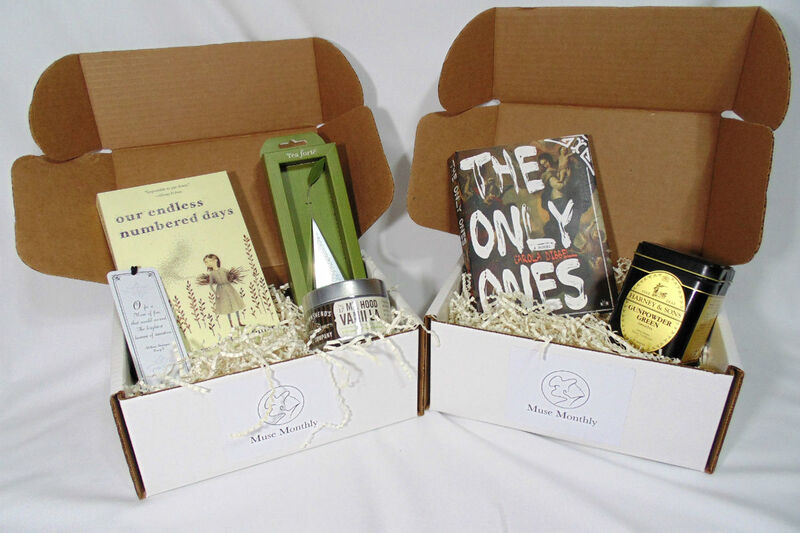 Handpicked by Rioters, the books included in this box have always been thoughtful and interesting, spanning multiple genres, fiction and nonfiction, and often introducing me to titles I'd never heard of. It's a bit pricey per box, but they really do pack in the value (including subscription-box exclusive items like a Read Harder water bottle, drink coozie, "Books" beanie hat, etc.). 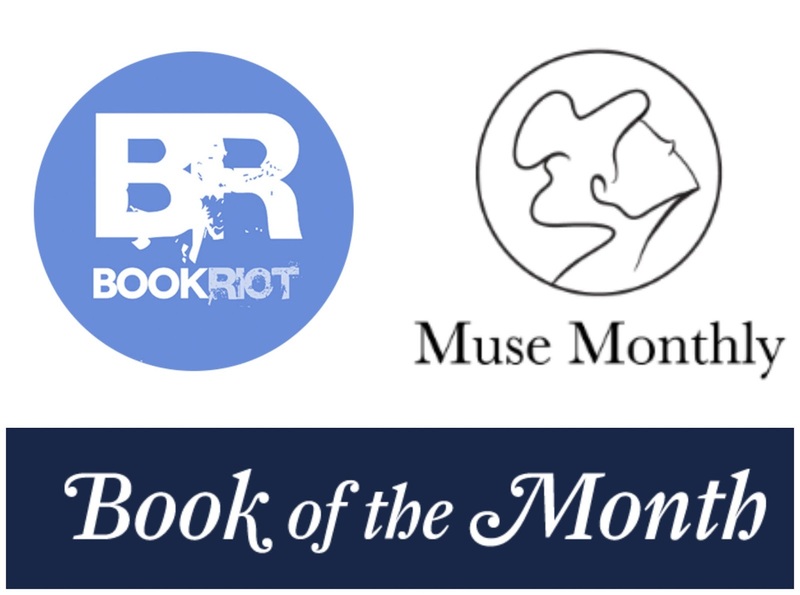 $39.99 for a 3-month subscription, $74.99 for a 6-month subscription, $119.99 for a 12-month subscription; one hardcover book sent every month | Book of the Month Club is exactly what it sounds like--a membership club that sends members one hardcover book every month, handpicked by a team of literary-minded judges. 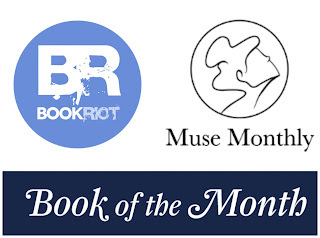 Members will automatically receive one of the judges' picks every month, but can opt for a different selection if they prefer, and the website hosts Q&As with the authors of selections, discussions of the books between readers, and more book-related content. The selections are interesting and unique and each comes with a letter from the judge who picked it. Added bonus: if you just can't decide which of the five books you want to receive that month, you can add up to 2 additional picks for just $12.99 each. For hardcovers, that's a steal. Starting at $21/month; tea and book selection sent monthly | Muse Monthly takes the book-of-the-month subscription one step further, sending a book with a box (or tin, as the case may be) of tea to accompany it. While the books aren't selected by the same celebrity literary judges as BOTM, they're interesting picks--and as C. S. Lewis once said, "You can never get a cup of tea large enough or a book long enough to suit me." It's a match made in heaven. Of course, if you'd rather go for a personal stylist, there's always Stitchfix (the per-item cost can be pricey, but I do love the items I've kept from here). If you're contemplating signing up (or gifting a subscription! ), do so here and I'll get credit for the referral! What are your favorite subscription boxes? Or, put another way, which subscription services out there would you want to find under the Christmakwanzakah tree this year?